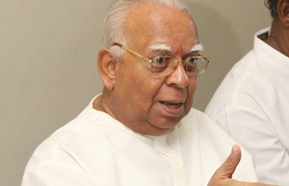 Tamil National Alliance leader R.Sambanthan expressed confident on implementing 13th amendment in the Northern Province. Northern people have faced elections after 25 years. Tough competition reported between TNA and the United People Freedom Alliance headed by President Mahinda Rajapaksa. TNA blamed military personals and state employees’ supports election conversing activities of ruling party. According to the final election results TNA achieved massive victory in 5 provinces. 14 places in Jaffna, 4 places in Mullaitivu,3 places in Killinochchie,4 places in Vavuniya and 3 places in Jaffna. Among 36 places TNA achieved victory in 28 places, UPFA in 7 places and SriLanka Muslim congress at 1 place. I would like to thank people casted votes to Tamil National Alliance. This election clearly proves that Tamils are willing to live in united SriLanka. Its ‘s necessary to accept request made by Tamils in North and East areas and need to grant political solution for problems face by them. We are confident on implementing 13th amendment. As soon as possible CM Wigneswarn and ministers will assume duty. We will urge continues support from India. Speaking to media CM C.V.Wingneswaran added, voting in the Northern Province concluded with many problems. Lankan government took various measures to stop the election. India continuously pressured Lanka to hold election in the Northern Province.